Had many a happy hour sitting here watching the sunset with friends, José playing great lounge-chill-out music over a couple of Corona's. I introduced the BBC there to broadcast Radio 1 live from the Café to the world, signed José to an recording deal. 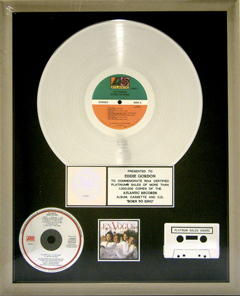 His "Souvenirs" album released on Manifesto, my label for Mercury Records, was nominated for a Latin Grammy. 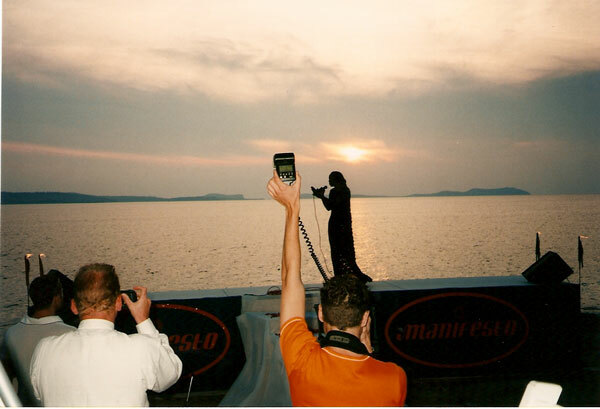 In the early 90s there 'was' an energy at Café del Mar that just needed sharing for the rest of the world to enjoy, a natural energy. 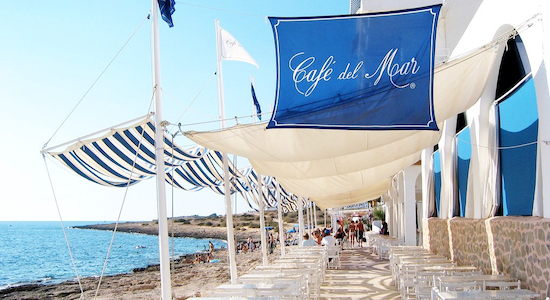 The now famous series of Café del Mar albums were originally released on CD and vinyl by React as solely a UK licensed album compilation. I licensed the series for a worldwide release to Manifesto Records after Café del Mar #3 with the template set by James Horrocks and Tom Foley after their three wonderful React releases. The timing was ripe to take it universal and an entire music genre called Chill Out was born out of that Café del Mar series. Buddah Bar, Hotel Costes, Mambo etc etc all followed later. Although it took a lot of arm twisting in Mercury to make them sign the project - a few red faces later who said it would never work - a common theme in my career and something that makes me smile, because then I know it's going to be a success. Oddly enough, almost as a sign of the future to come, in 1988, whilst working for MCA Records, along with Elii Hourd and Adrian Sykes we compiled and named an album on vinyl and CD called "The Sunset Sound Of LA", seems I was on the right track years before without even knowing and guess where I have mostly lived these last 11 years watching the Sunset? Yes in LA. Funny how often circles back to the beginning. My daughter Olivia was brought into the world with a Café Del Mar CD playing in the private hospital delivery room which I put on with candles lit to help her Mum relax - it must have worked because Olivia was out into this world in less than an hour at 2'45am on the 3rd March 2000. After, whenever Olivia used to start to cry on a long car journey I'd put 'her' Café Del Mar' CD in the music player, turn round to watch her, she'd look into my eyes, nod her little head, as if to say "thanks Dad, at last", then close her eyes to relax to the music. As mad as that sounds, it's the crazy truth. Now 18 she prefers to be in the front seats with her own music and she loves Ibiza.. Literally 12 hours earlier that day, 2nd March 2000, we'd buried my Father at Bluebell Hill Cemetary near Maidstone with Cafe del Mar music from Jose Padilla "Adios Ayer" featuring Steve Bennet. He died in London whilst I was in Ibiza end of January 2000 making plans for the summer. I couldn't get off the island until the next day due to winter flight schedules. He was very proud of my work, I miss him, I got my work ethic from him, I'm sure. The success of the Café Del Mar project was really down to DJ Jose Padilla the Picasso of his time, his deep melancholy music orchestrated to the daily Sunset in Ibiza with his free cassettes recorded live from the decks. I still have Cassettes No:1 and No:2 from Jose DJing at the Cafe to the sunset from 1993. The 5 Million CD sales helped Manifesto Records become one of the most profitable dance label's in the history of the UK music business, quite possibly even the World, because they are still all selling and will probably never be surpassed. Lucian Grainge the CEO of Universal Worldwide once congratulated me in 2002 on the signing of Café Del Mar saying that it was "like signing a mini U2 and saved Mercury Records in the 90's". Funny, my girlfriend at the time, lovely Liz and I go join Mercury to start the Manifesto dance label and actually end up saving the company with the compilation album they didn't want us to sign - that's life folks !! However, it wasn't all Jose Padilla and myself, there are a lot of people in the mix who need be acknowledged here including the contributing artists, producers, labels and writers. At Mercury - Howard Berman, Liz Walton, Ann Marie Bigby, Bruno Morelli, Jonathan Green, Jo Weinberg, Pluke Neville, Ben Cherrill, Clare Woodcock, Gina Spencer and Ramon at the Cafe itself. James Horrocks and Thomas Foley of React thank you too for being such complete gentlemen although I'm sure we helped you sell lots more of albums 1, 2 and 3 too :-). Un beso. This next song always reminds me of Eric Clapton's "You Look Wonderful Tonight" - eh Paco :-) PACO FERNÁNDEZ "GRILLOS" (Café del Mar vol4). Wonderful memories of great days and nights.